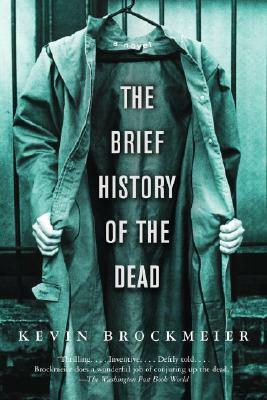 From Kevin Brockmeier, one of this generation's most inventive young writers, comes a striking new novel about death, life, and the mysterious place in between. In addition to his most recent work, A Few Seconds of Radiant Filmstrip, KEVIN BROCKMEIER is the author of the novels The Illumination, The Brief History of the Dead, and The Truth About Celia; the story collections Things That Fall from the Sky and The View from the Seventh Layer; and the children’s novels City of Names and Grooves: A Kind of Mystery. His work has been translated into seventeen languages. He has published his stories in such venues as The New Yorker, The Georgia Review, McSweeney’s, Zoetrope, Tin House, The Oxford American, The Best American Short Stories, The Year’s Best Fantasy and Horror, and New Stories from the South. He has recieved the Borders Original Voices Award, three O. Henry Awards (one, a first prize), the PEN USA Award, a Guggenheim Fellowship, and an NEA Grant. In 2007, he was named one of Granta magazine’s Best Young American Novelists He teaches frequently at the Iowa Writers’ Workshop, and he lives in Little Rock, Arkansas, where he was raised.